FUCHS regularly publishes a Sustainability Report since 2011 – until 2016 as part of the respective Annual Report and since 2017 as separate document. 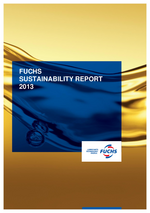 In every consecutive year this report was enlarged by content and a partly different sustainability focus has been set, in order to highlight the various sustainability aspects of FUCHS over the years with equal value and to avoid redundancies in this way. 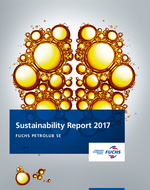 Thus, detailed information, explanations and definitions on diverse topics in the actual FUCHS Sustainability Report 2018 can be found in the reports from previous years, where they are partly explained in more depth and can be read up respectively (see below). According to the CSR directive, which was published by the EU in November 2014, public-interest companies with more than 500 employees – to which also FUCHS belongs to – are required for the first time to publish a Non-financial Declaration for annual reporting periods beginning on or after 1 January 2017. Therefore the FUCHS Annual Report as well contains a Non-financial Declaration since 2017 (see excerpt Non-financial Declaration).